“Old 666” was the name of a B17 Flying Fortress during World War II. This was a heavy, relatively fast, long-range bomber with four engines that turned out to be a workhorse for America’s strategic bombing campaign during World War II. However, one mission from a single bomber made Old 666 a legend. In 1943, the 43rd bomber group was stationed in Port Mosey airbase. Lt. 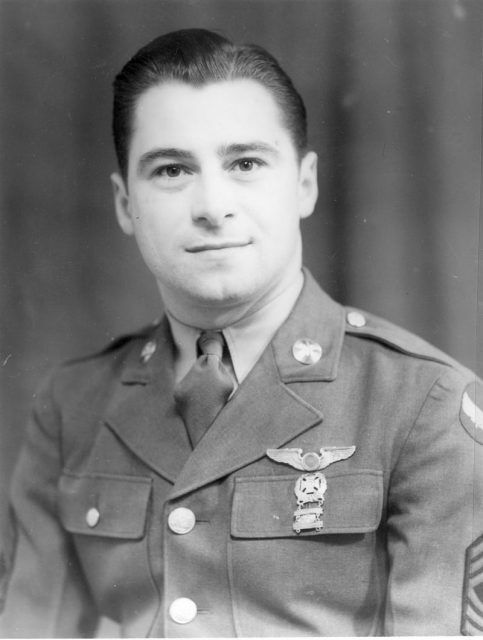 Colonel Jay Zeamer led the crew along with 2nd Lt. Joseph Sarnoski. The former had trouble gaining a new bomber because of his crew’s discipline problems, but he managed to have a plane salvaged from the boneyard and he then made some improvements to it. 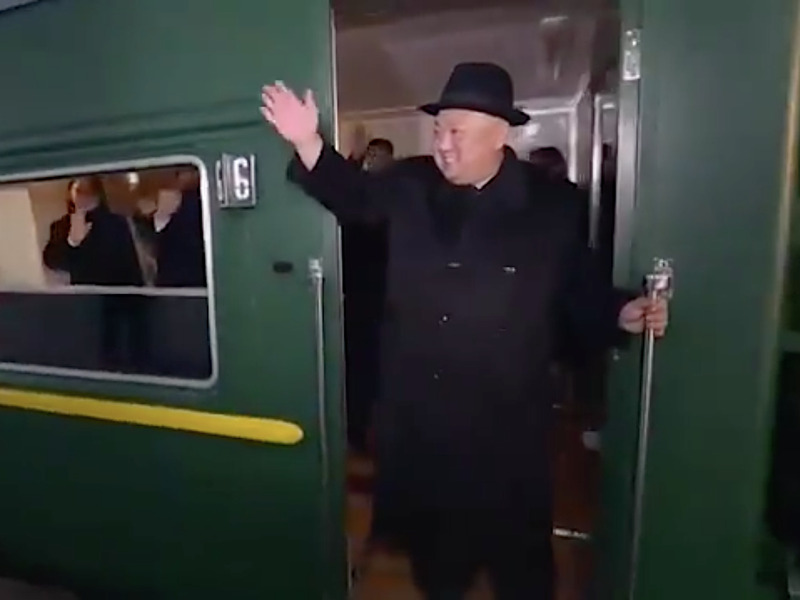 He increased the number of guns from 10 to 19, replaced the single guns with twin guns, and increased the caliber from .30 to .50 cal machine guns which gave it much more power. He added a fixed gun to the pilot’s station which ended up being critical on their most important mission. Only known photo of bomber 666. B-17E bomber, “Lucy” 41-2666 parked at parked at 14-Mile Drome (Schwimmer) near Port Moresby, New Guinea. The image appears in the last few seconds of a military film from the 8th Photo Reconnaissance Squadron. They put so many weapons on the aircraft that it seemed almost comical, but it became the most heavily armed fighter in the Pacific and saved the lives of its crew numerous times. The crew spent so much time adding weapons that they didn’t add the nose art and nickname that many crews did for their ship. So their only identification was its tail number 41-2666 (and its copious amount of machine guns, of course). Old 666 successful completed many missions in the months that followed. They skip-bombed Japanese aircraft carriers, which is akin to a person skipping stones off a pond. On one occasion, they flew so low that they brushed the rooftops of the city below them. During a night mission, they were located by searchlights but Zeamer and the crew bombed the lights under heavy fire. They destroyed three and damaged two more which allowed the rest of the bombers to complete their mission. Over Papua New Guinea they sustained over 60 hits from anti-aircraft fire but managed to land and quickly repair the damage. 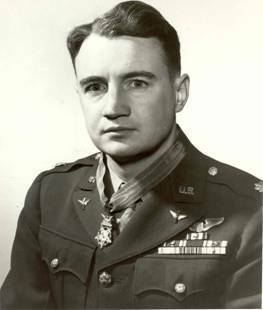 On June 16th, 1943, they went on a solo mapping mission over hostile territory for which the officers would be awarded the Medal of Honor and the rest of the crew would receive the Distinguished Service Cross. They flew over 600 miles near the Japanese-controlled Solomon Islands to identify troop strength and possible locations for the upcoming invasion. With 22 minutes left in their recon mission, they were intercepted by between seven and twenty Japanese Zero warplanes (depending on who you ask). After making a quick pass at the heavily armed tail, the fighters came around to attack the nose, which was normally lightly armored. But the enemy pilots were surprised to see their opponent was heavily armed with high caliber twin machine guns. The lead fighter was damaged and he returned to base, but another fighter was damaged and flew into the nose and cockpit. 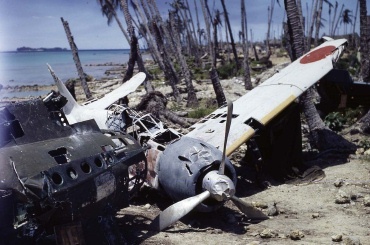 A Japanese Mitsubishi A6M3 Zero (“T2-157”) abandoned at Munda Airfield (Central Solomon Islands), after the Allied Invasion, September 1943. Lt. Sarnoski went to get medical attention before seeing another Zero bearing down on them. He went back to his weapon and returned fire before passing out. 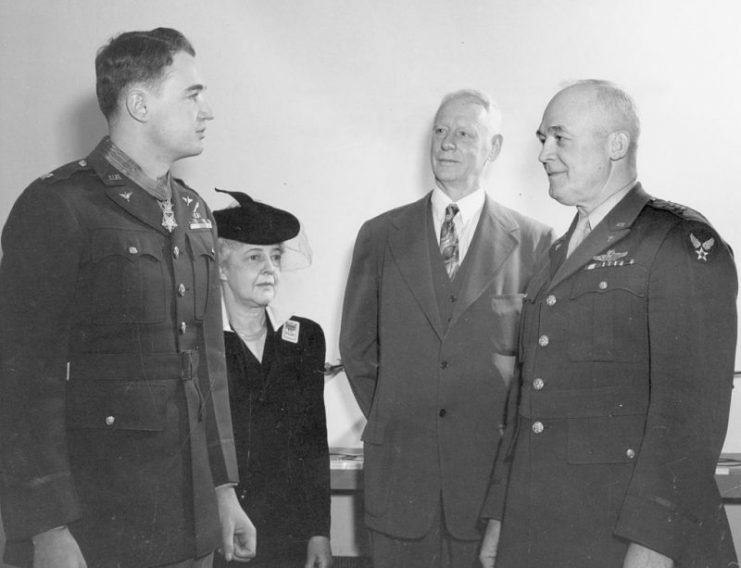 In his Medal of Honor citation, Zeamer was praised for continuing the mission and maneuvering the plane so skillfully during a prolonged firefight that he often afforded his gunners advantageous angles of fire. The second wave of fighters dove from above and knocked out their oxygen system, forcing them to make a sharp dive from 25,000 to 8,000 feet where they could breathe normally. After about 40 minutes of a sustained dogfight, they managed to outrun the remaining Zeros who returned to their base. Zeamer then passed out from his wounds, and Sarnoski died while manning his gun. 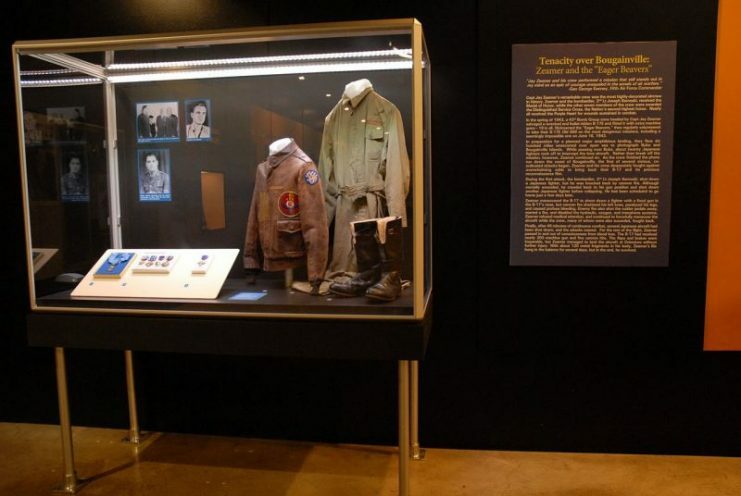 In total, six out of the nine crew members were wounded or died during the mission, and the bomber was heavily damaged. 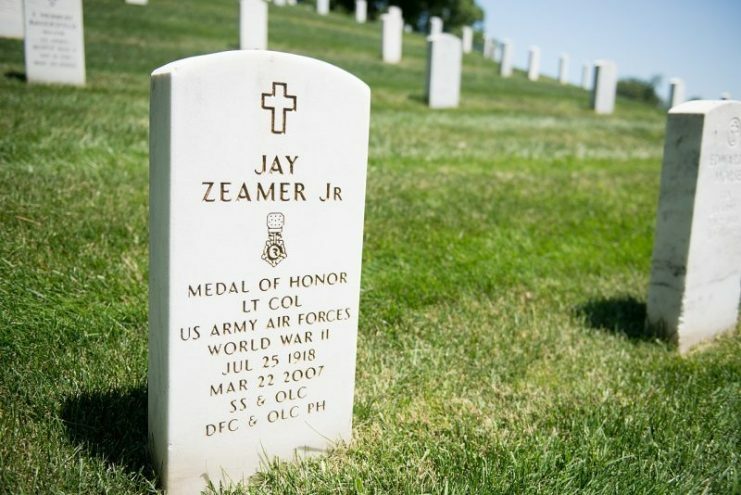 U.S. Army Air Forces Lt. Col. Jay Zeamer Jr., born July 25, 1918, and died March 22, 2007, is buried in Section 34, Grave 809-4 of Arlington National Cemetery. But it turned out to be the most decorated flights in American history. Official Japanese reports minimized the number of fighters that attacked and were damaged or destroyed. They say it was only seven fighters with two damaged and one destroyed by Old 666. 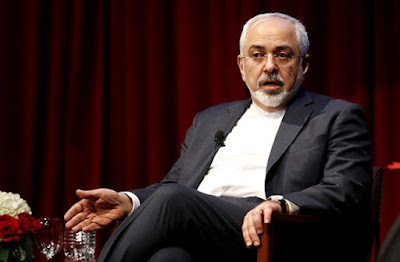 But the personal memoirs of Zeamer says it was more like a couple of dozen and his Medal of Honor citation listed twenty. Whatever the number, the crew of Old 666 were wise to modify their plane as it became a target that gave as much damage as it got. Furthermore, the performance of its crew is another testament to the bravery of the greatest generation. 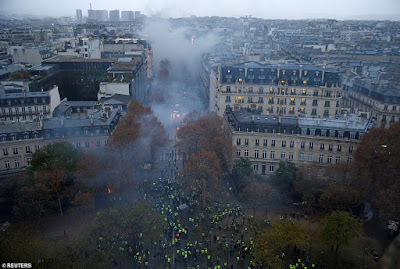 Is There A Global Backlash Against Climate Change Taxes? Does The U.S. Military Need Skynet?